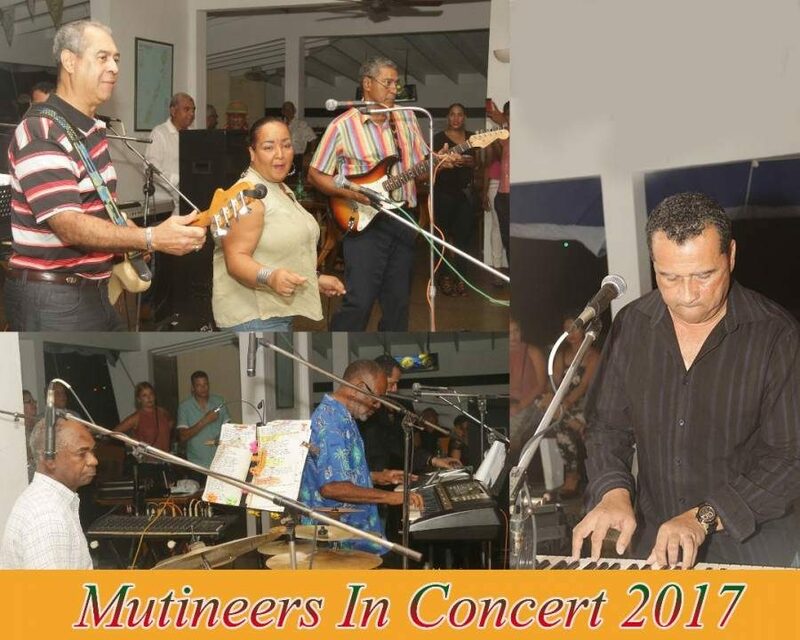 Rumour has it, the decision to name the band Mutineers, may have been influenced by a popular interpretation of the theme song of Mutiny on the Bounty — the 1962 movie starring Marlon Brando — by the Ansel Wyatt Combo from Trinidad. The movie retells the real-life mutiny in 1789 aboard HMAV Bounty, led by Fletcher Christian, second-in-command, against Commanding Officer William Bligh on the return mission from Tahiti to Jamaica with a cargo of breadfruit destined for the plantations. Mutineers Combo was established in 1965 by enterprising, but surely not seriously mutinous students of Presentation Boys College (PBC). The band, comprising Radix and DaBreo brothers and their friends, entertained at many parties and socials of the day, a good percentage of them at the Radix family house in Sans Souci, St George, during the August school holidays. By 1972 the majority of the musicians had departed for university and life abroad, some to Canada. The Mutineers were no more. The Mutineers circa 1967. L to R: George Radix, Trevor da Breo, Peter Date, Derek da Breo, Andre Cherman, Ken McNeilly, Richard St Bernard. 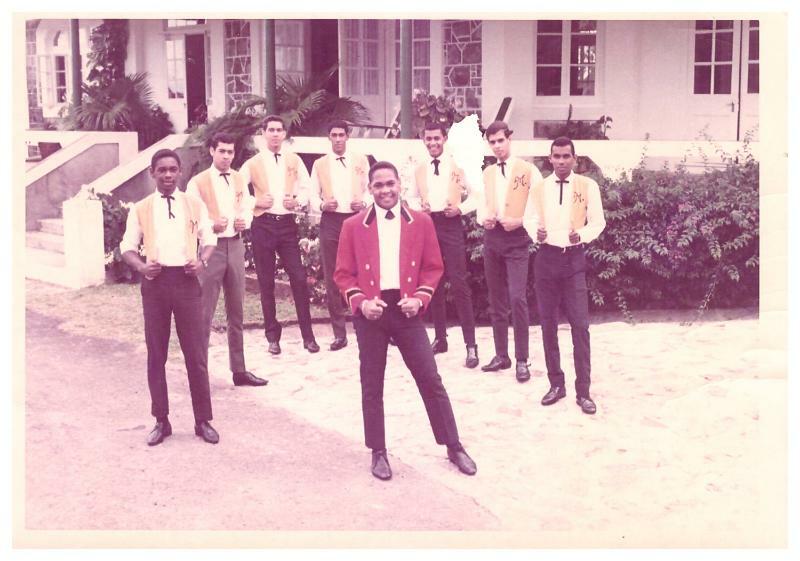 Peter Radix (red jacket) took over as band leader from elder brother Roger, when he left for university. In 2010, some of the former band members came home to Grenada for Christmas and New Year, but it would take another 5 years before they would reunite and play their first gig. For the first 2 years, the free concerts reconnected them with their love of music and their fan base. Early in 2017, the still free admission concert, with guest singers Lisa Mcdonald and Angus da Breo, became an impromptu fundraiser which provided a vision-impaired young man with household appliances. 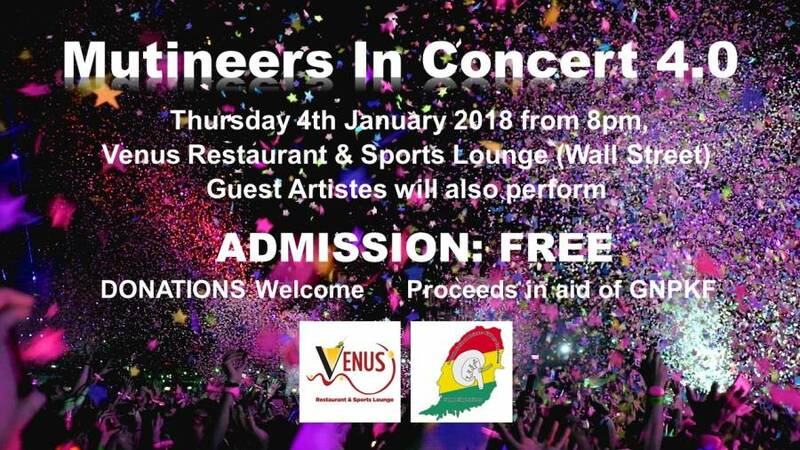 On 4 January 2018, the Mutineers will play at Venus Nightclub, to benefit the Grenada Patient Kidney Foundation. Admission is still free, with donations accepted towards this event’s chosen cause.